Being a new parent is an exciting adventure - and it’s also usually exhausting! Babies bring happiness, lots of ‘awws’ and ‘ahhs’, and many sleepless nights. They can also cost a pretty penny so it’s really important to stay on top of your money once your little one arrives. We’ve compiled some easy ways you can manage your money as a new parent. Sorting your finances now gives you one less thing to worry about as well as more time to spend with your little bundle of joy. Setting up a budget helps you to get to grips with your personal finances. A budget makes it easy for you to see what you’ve got coming in and going out, and what you’ve got left over. Budgeting can sound complicated and confusing but actually, it can be pretty simple to set one up. There are loads of online resources to help you with the process. Once you’ve set up your budget, you’ll be able to see areas where you can cut back on costs alongside how much you can save each month. Plus, it helps you to stay on top of your money which can be a big concern for many new parents. Only one person can claim Child Benefit for a child and if you or your partner’s individual income exceeds £50,000, then you may have to pay a tax charge. You can decide not to claim Child Benefit but be sure to fill out the claim form anyway as this protects your National Insurance credits, as well as ensuring that your child is registered for their National Insurance number once they turn 16. For some families, you may be entitled to Universal Credit or Child Tax Credit. These are means-tested allowances that offer additional help to low-income families. You need to meet a number of requirements in order to claim these benefits. 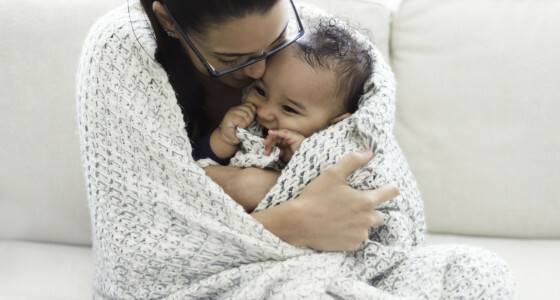 As a new parent, you may have taken some leave to look after the little one, or you may have decided to be a stay-at-home parent. While this can be wonderful for your family, it can have a negative effect on your future if you’re not mindful. But don’t worry! There are some different ways you can protect your pension - and your retirement. Firstly, be sure to fill out the form for Child Benefit, even if you end up not claiming anything. This protects your National Insurance credits which assures you a state pension, even if you’ve taken time off work. The state pension might not be enough to retire on, however, so you might want to consider saving into a personal pension too. Your budget will help you to make sure you’re making pension contributions each month. Sourcing any “lost pots” from previous employers could do a ton for your retirement fund, too. Plus, it could be a lot cheaper than you think to save up for a decent pension pot, so be sure to protect your future as part of your money management. After you’ve set up your finances, you’ve got to stay on top of them! This can seem daunting at the best of times but it’s particularly difficult when you’ve got a newborn crying out (often quite literally!) for your attention. Luckily, modern tech is here to help. There are loads of apps out there to help you manage your money quickly and easily. Once you’ve set up your budget, you then need to check it at least once a month. Use an app like Money Dashboard to keep track of your cash with minimal effort and make improvements where you can. What about other areas of your finances? Well, you can use Revolut to modernise your banking whilst PensionBee consolidates your old pensions into a simple new plan that you can easily manage online. Apps allow you to manage your money wherever you are, from the nursery to the playground. Use your faves to save time and energy, so you’ve got more time to spend with baby. #QuickTipTuesday Help your child learn money management early by helping them create their own bank! We had @marlourbanvo decorate three envelopes which we labeled "Spend", "Save" and "Give." Marlo splits his allowance evenly across each envelope "putting money in his bank" Each month he gets to decide where each part of his bank goes! Of course, it’s not just your own money that you need to manage now that you’re a new parent. You’ve also got to think about your child’s money! Many parents choose to open a savings account for their kid so that they’ve got a sizeable fund when they reach adulthood. There are lots of options available for parents looking to open up a child savings account, so be sure to do your research. Different accounts come with different benefits. For example, Junior ISAs offer tax-free saving but they can’t be accessed until your child is 18. Child easy-access savings accounts can be accessed any time, but all interest is taxed. The type of account you go for will depend on your family’s needs. Taking control of your money is vital for new parents and it doesn’t have to be scary! What did you do as a new parent (or what are you planning to do) to keep on top of your money? Let us know in a comment! Risk warning The information in this article is for informational purposes only and should not be regarded as financial advice.